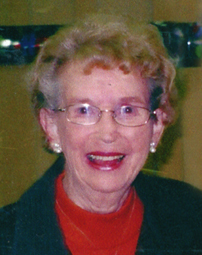 Peacefully at the Glenboro Personal Care Home on Thursday, August 23, 2018, Mrs. Elsie Martin of Cypress River, Manitoba passed away at the age of 96 years. She leaves to cherish her memory her husband Marty Martin; her children Sandra (Noel) Nattrass, Francine (Jack) Taylor and Brian (Nicole) Pritchard; her grandchildren, Robin (Rod), Carla, Melissa, Brendan (Shayla) and Erika (Victor); her great-grandchildren Zachary, Nicholas and Matthieu. She also leaves to mourn one sister Marjorie McKnight; two sisters-in-law, Dorothy Young and Margaret Ann Martin; one brother-in-law Bud (Goldie) Martin; and numerous nieces, nephews, relatives and friends. She was predeceased by her husband James Pritchard; her parents Robert and Elsie (née Palmer) McQuay; her siblings, Cliff (Annie) McQuay, Joe (Marjorie) McQuay, William (Alma) McQuay and Reita (Herbert) Stinson; her siblings in-law, Jack (Norma) Pritchard, Thomas Pritchard, Lawrence Pritchard, Margaret (John) Paul, Eldon McKnight and Garth Young. Funeral services will be held in the Treherne United Church on Wednesday, August 29, 2018 at 11 a.m. Interment will take place at the Woodlands Cemetery. In lieu of flowers, memorial donations may be made to Heart and Stroke Foundation of Manitoba, the Alzheimer Society of Manitoba or to a charity of choice.